So how exactly do mushrooms grow? Have you ever wondered how mushrooms grow? How exactly do mushrooms make their way to grocery store shelves & to our plates? The process is more in-depth than you may think. 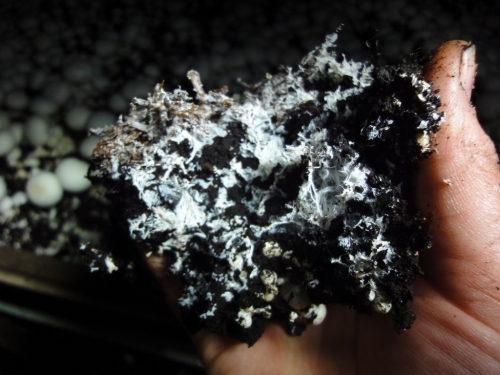 Here’s the inside scoop on the science behind growing the perfect white & baby bella mushrooms. 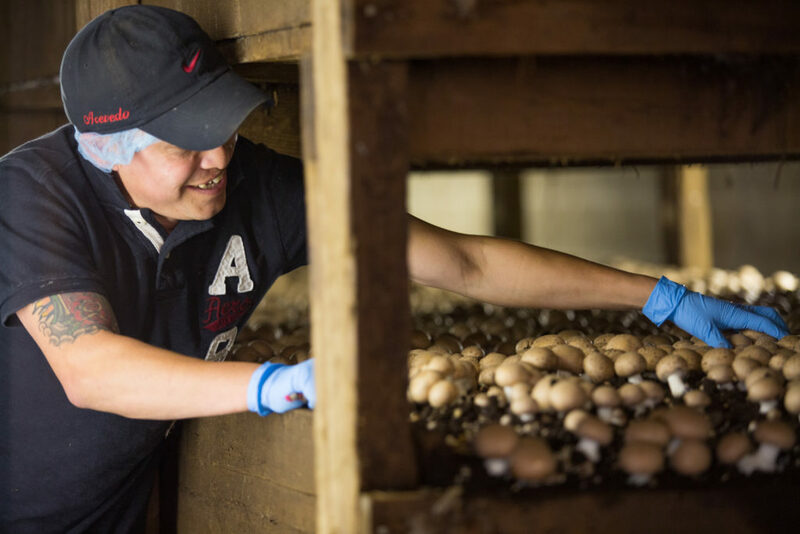 Before making their way to your plates, mushrooms undergo a four-phase growing process right here at one of To-Jo Mushrooms’ growing houses. Each phase is equally important to the growing process. Controlled environments & modifications of the mushrooms’ growing environment throughout the growth cycle is key to not only the quantity of mushrooms produced, but also the quality of the finished product. The raw materials are gathered for the compost, that will provide a nutrient growth medium for mushrooms. Some of the raw materials that make up the perfect compost recipe include corn cobs, cotton seed hulls, hay, straw and cocoa shells. At our compost wharf these natural organic materials are blended and undergo 2 1/2 weeks of decomposition before heading to a growing house. The decomposition process is important in making sure the compost has the proper nutrients, carbon and nitrogen levels for mushroom growth. 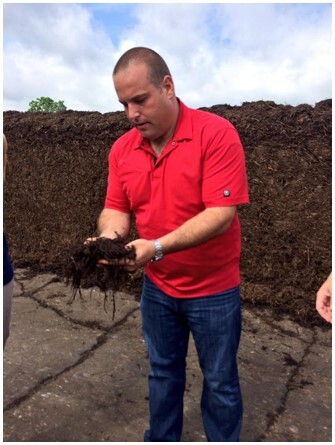 Fun Fact: Most of the raw materials used in the compost are recycled materials from other agricultural industries! 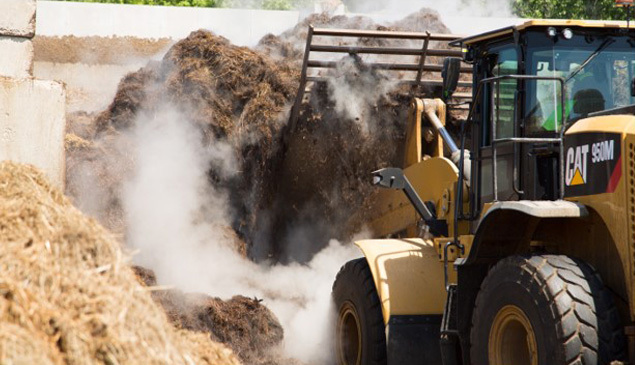 The finished compost is transported from our composting wharf and filled into our growing rooms for pasteurization. Pasteurization consists of a 10-day conversion of natural gases to also help produce a nutritious environment for the mushrooms to grow and ensure the compost is clean and free of unwanted insects, weeds and molds. 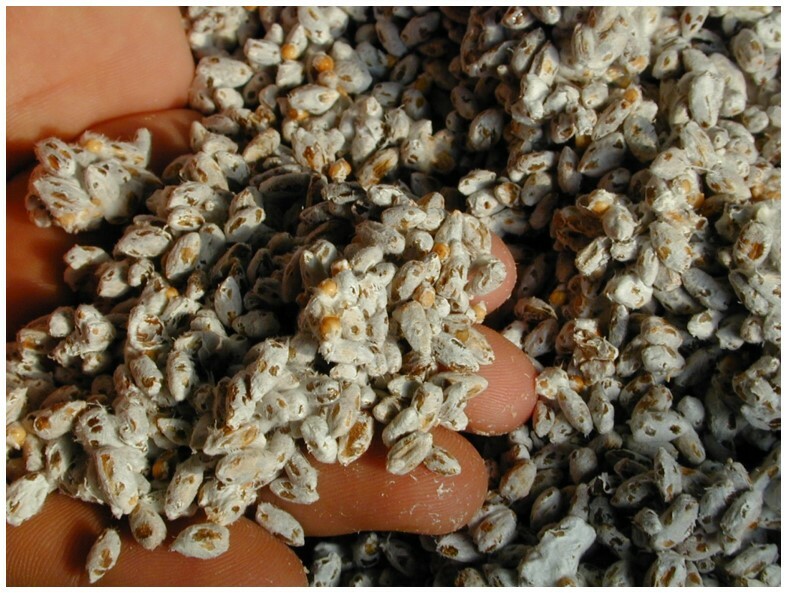 The mushroom seed or spawn, purchased from commercial labs, is planted into the pasteurized compost and is given time spread over an 18-day period. Throughout this 18-day period a web-like mass called mycelium spreads throughout the substrate. These roots will eventually form into mushrooms. 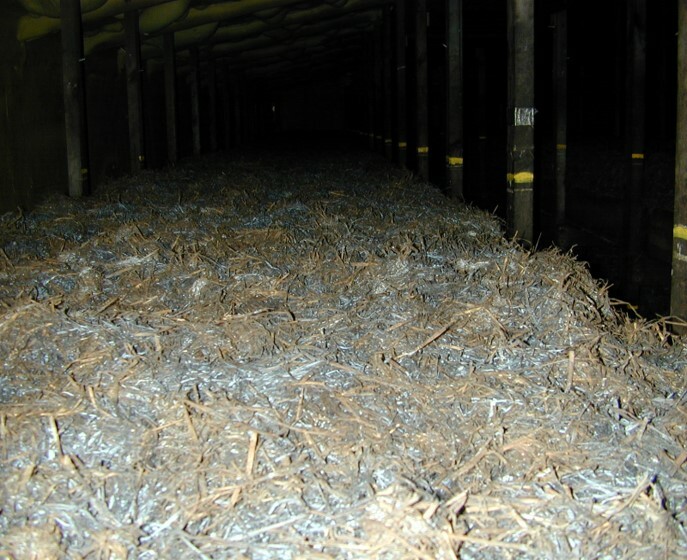 After 18 days of spawning a casing, called peat moss (similar to potting soil), is put over the mushroom bed serving as a reservoir to hold in moisture and providing a medium for the root structure to grow through. The growing rooms’ temperature, humidity and carbon dioxide levels are carefully controlled to promote growth. Mushroom growth enters the pining stage, where “pins” of mushrooms begin to push up through the peat moss. Once this begins to happen the “pins” will double in size every 24 hours prior to harvest. 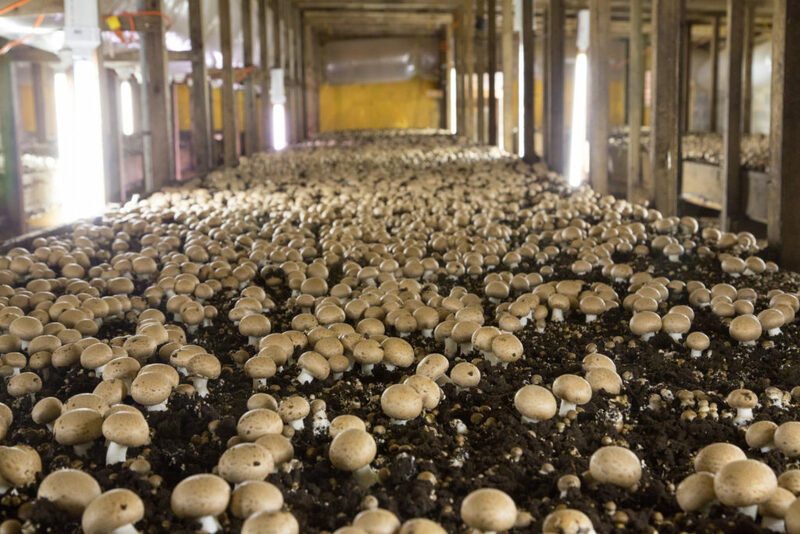 After this 4 phase, 11 week process, mushrooms are ready to be harvested by a team of skilled harvesters, picking each mushroom by hand over a 4-week period in each growing room. Each growing room typically receives three breaks from the raw materials used–meaning the entire bed is picked clean and then the bed is regrown and picked again up to three times. Fun Fact: Each growing bed is approx 80-100 feet long and is just wide enough for pickers to be able to reach a full arms length from each side of the bed. Fun Fact: After the growing process is completed, the compost is then recycled again for new uses, like potting soil and fertilizer. So there you have it mushroom lovers. 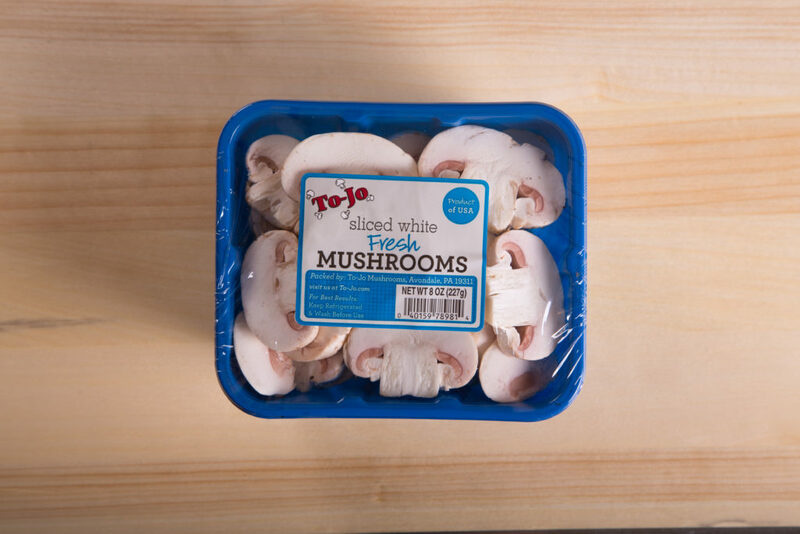 That’s how our beautiful packs of mushrooms make their way to your grocery store shelves & plates.